On July 28, the U.S. Department of Health and Human Services (HHS) hosted the fifth annual observance of World Hepatitis Day to continue raising awareness of the burden of viral hepatitis both here in the U.S. and around the world. Globally, viral hepatitis affects 400 million people and kills over 1.4 million people annually, and in the U.S., an estimated 3.5 to 5.3 million Americans are living with viral hepatitis, resulting in over 21,000 deaths in 2013. In partnership with the White House, federal, state and community leaders, the two and a half hour event provided an opportunity for a discussion of the important progress we’ve made as a nation in combating this silent epidemic-- as well as the challenges we continue to face. “Guided by our Action Plan for the Prevention, Care, and Treatment of Viral Hepatitis, my Administration is working with government, private, and non-profit organizations to ensure that new cases of viral hepatitis are prevented. 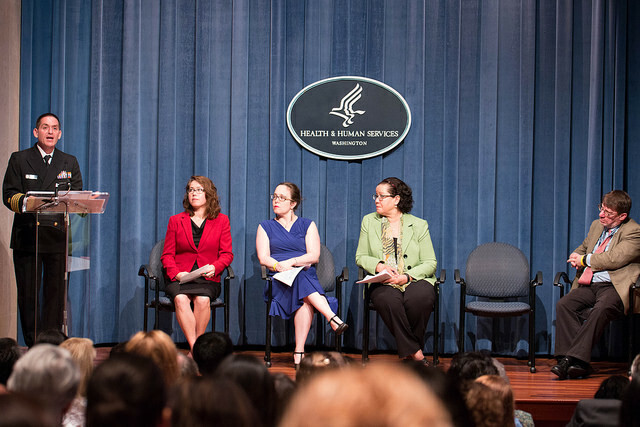 We also remain invested in addressing related health issues such as liver cancer, HIV infection, and substance use disorders, and the disproportionate impact viral hepatitis infections have on African Americans, Asian Americans and Pacific Islanders, and American Indians and Alaska Natives, as well as our Nation's young people.”Held in the auditorium at HHS headquarters in Washington, DC, the event was also live-streamed with over 360 viewing sites tuning- in. 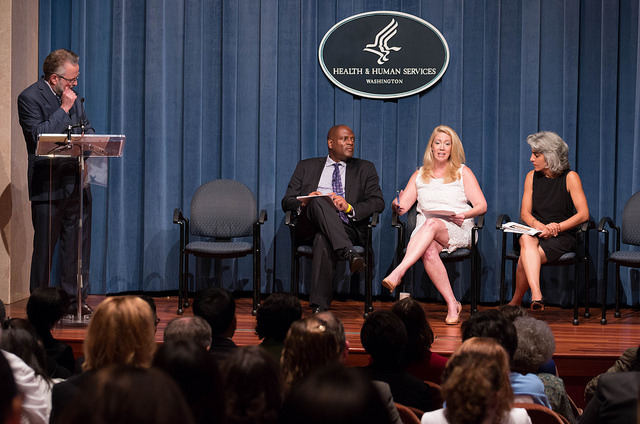 During the observance, panelists shared examples of the progress being made on various fronts to address viral hepatitis, and also highlighted opportunities for individuals, communities, and organizations to join in and take action. Over three-fourths of the estimated 225,000 HCV-infected veterans getting health care from the Department of Veterans Affairs (VA) have been identified due to comprehensive screening approaches, reported Dr. David Ross, Director of the HIV, Hepatitis, and Public Pathogens Programs at the VA. These screening approaches include clinical reminders, institutional guidelines, and internal feedback processes on testing and diagnosis rates. Dr. Ross emphasized HCV treatment successes among veterans, sharing that the VA has been able to cure more individuals of their HCV infection in the past 6 months than in the previous 16 years combined. Dr. Jonca Bull, Director of the Food and Drug Administration’s Office of Minority Health highlighted her agency’s work in approving therapies, supporting the development of improved diagnostics and vaccines, and maintaining a safe blood supply. Recent approvals of 4 direct- acting antiviral treatments for HCV with greater than 90% cure rates, as well as the availability of 7 agents to treat HBV, represent key developments in the treatment and management of viral hepatitis, Dr. Bull observed. Federal Leaders from the White House highlighted ways in which the national plans overseen by their offices align with and support activities outlined in the Action Plan for the Prevention, Care and Treatment of Viral Hepatitis (Action Plan) and described opportunities to strengthen partnerships and collaborations. Ms. Kiran Ahuja, Executive Director of the White House Initiative on Asian Americans and Pacific Islanders (WHIAAPI), recognized the efforts of community-based organizations to promote awareness of HBV, which disproportionately impacts Asian Americans and Pacific Islanders (AAPIs). Mr. Douglas Brooks, Director of the White House Office of National AIDS Policy (ONAP), encouraged his colleagues in the HIV community to continue building awareness and capacity among staff to provide viral hepatitis education, and to enhance their ability to offer viral hepatitis services in a non-stigmatizing manner. And Dr. Cecilia Spitznas, Senior Policy Advisor at the White House Office of National Drug Control Policy (ONDCP), shared that her office has developed strategic partnerships with the National Governors Association to expand access to substance abuse treatment, noting the possibility of including viral hepatitis messaging and efforts into existing collaborations. She also noted that ONDCP was sharing a blog post on the White House blog highlighting the connection between substance use disorders and viral hepatitis infections. Several panelists noted that the present time offers unprecedented opportunities to achieve the goals of the national Viral Hepatitis Action Plan. New HCV therapies can effectively cure most people who take them. Elimination of new perinatal HBV infections is an attainable goal with infant vaccinations and prenatal HBV screening being widely implemented. Americans have greater access than ever before to health care and services. The intersections of viral hepatitis with other national priorities, such as the newly updated National HIV/AIDS Strategy and the 2014 National Drug Control Strategy , afford opportunities to coordinate efforts, leverage resources, and inform and engage a broader pool of stakeholders. Combined, these developments bring new tools and energy to our national response to viral hepatitis. 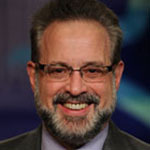 Dr. Jonathan Mermin, Director of the CDC’s National Center for HIV/AIDS, Viral Hepatitis, STD, and TB Prevention, reviewed the recent dramatic increases in hepatitis C infection, primarily among persons who inject drugs (PWID), calling the expanding epidemic a trend that “…daily shames the nation… But with hepatitis C virus,” Dr. Mermin noted, “we have a major opportunity to make a substantial positive difference as new, more effective and safer treatments become available.” Dr. Mermin pointed out that that while currently available curative therapies for HCV are expensive, they have also been shown to be cost effective for nearly all patients. Several presenters reiterated the need to address viral hepatitis-related health disparities, underscoring that continued work is needed to enhance and improve targeted education and access to care and treatment for HBV which disproportionately impacts AAPIs and African immigrants and HCV which disproportionately impacts individuals born 1945-1965, African Americans, people who inject drugs, and people infected with HIV. Increase screening rates and linkage to care so that people living with viral hepatitis can be effectively treated or cured. 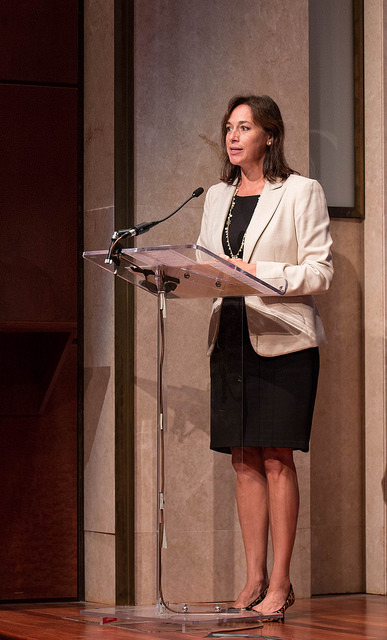 As we were reminded by Dr. Karen DeSalvo, the Acting Assistant Secretary for Health at HHS, the key to success is to identify ways to collaborate and innovate so that we can improve outcomes for individuals at risk for and living with viral hepatitis. She concluded her remarks with a call to action, “The challenges are real, and they are complex… So let’s take a moment to celebrate our progress in responding to viral hepatitis so far, and to renew our commitment to overcoming the remaining challenges. You can be a change-making voice." Visit the links below for more tools and information to support viral hepatitis outreach and engagement efforts.